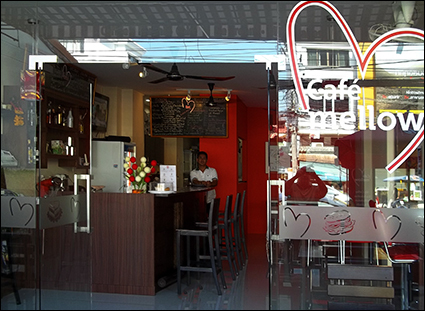 Café mellow opened its doors in Karon Beach during November 2013. The aim at Café mellow is simple, to provide quality food and beverages at affordable prices, serving both locals and those visiting Phuket on holiday, in a relaxed and friendly atmosphere. The cornerstone of our beverages is Illy coffee. 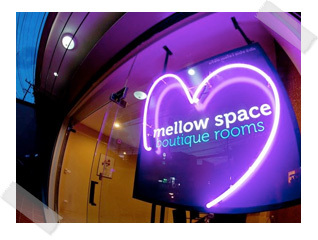 We also serve a variety of quality teas, ice cream milkshakes, soft drinks and (of course!) alcohol. The specialty dish on our food menu has to be our hot Panini. We have tried to provide a menu that reflects a diversity of tastes. All our Panini are made with our homemade focaccia bread. This way we can ensure quality, freshness and affordability. We also serve breakfast from 07:30am, all day, every day. For those with a sweet tooth we can offer ice cream sundaes, muffins, cheesecake and waffles. With the exception of the ice cream everything is homemade.